Asterisk Cyto Cell knee brace, Large, LH & RH Used 3 Times. Asterisk Cyto Cell knee brace, Large, LH & RH. Cost £450 new Used 3 times whilst waiting for my Custom braces to arrive. Most comfortable braces I’ve used to date, absolute bargain compared to new prices. I will try and get them posted within a day of being payed for. Any questions please feel free to email me. Asterisk Cell Knee Braces-XL-good Condition- £600 New! The Ultra Cell™ Knee Protection System is built on more than 10 years of time-tested and proven designs. Several patented revolutionary design concepts come together in unison to create this System: the A.R.C. Cuff has the ability to be totally adjustable for fit, yet remain rigid; simple, low profile strapping features a single finger release; a natural free-motion, rolling-gliding hinge follows the natural movement of the knee; carbon fiber matrix, tibial plateau-capturing frame design provides strong, yet lightweight protection: brace-to-boot tether attachment helps prevent lower leg rotation; plus the full-time, full-coverage patella cup offers superior coverage. This Knee Protection System is truly decades ahead of all the rest. The Cyto Cell design maintains the philosophy and features we believe essential to a knee brace while also trying to take it easy on your wallet. Asterisk Cypto Cell Knee Brace for Pair - Asterisk Motocross Enduro Body Protection. 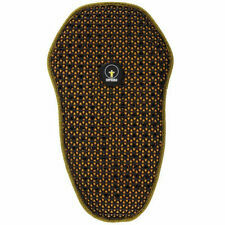 Description The Ultra Cell™ Knee Protection System is built on more than 10 years of time-tested and proven designs. Several patented revolutionary design concepts come together in unison to create this System: the A.R.C. Cuff has the ability to be totally adjustable for fit, yet remain rigid; simple, low profile strapping features a single finger release; a natural free-motion, rolling-gliding hinge follows the natural movement of the knee; carbon fiber matrix, tibial plateau-capturing frame design provides strong, yet lightweight protection: brace-to-boot tether attachment helps prevent lower leg rotation; plus the full-time, full-coverage patella cup offers superior coverage. 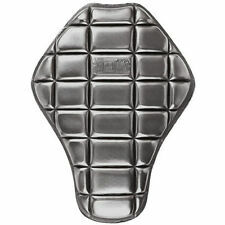 This Knee Protection System is truly decades ahead of all the rest. With humble beginnings, a few mates got together with the vision to tackle motocross gear online in Australia. Australia's Largest Range of Dirt Bike Gear, Parts & Accessories. OurGold Coast warehouse is the only one of it's kind inAustralia and is bursting at the seams with the latest dirt bike gear, motocross gear, parts and accessories. With humble beginnings, a few mates got together with the vision to tackle motocross gear online in Australia. OurGold Coast warehouse is the only one of it's kind inAustralia and is bursting at the seams with the latest dirt bike gear, motocross gear, parts and accessories. 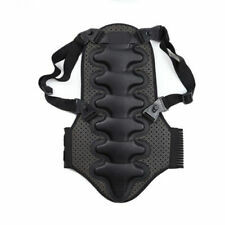 To suit OLD style Asterisk Cell Knee Braces in size L/XL. With humble beginnings, a few mates got together with the vision to tackle motocross gear online in Australia. OurGold Coast warehouse is the only one of it's kind inAustralia and is bursting at the seams with the latest dirt bike gear, motocross gear, parts and accessories. Kit includes both boot and brace ends of the Anti-Rotation Tether. With humble beginnings, a few mates got together with the vision to tackle motocross gear online in Australia. 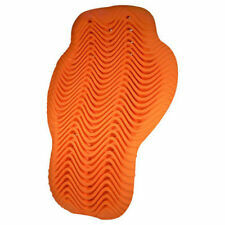 Universal design to allow use with multiple motocross boot applications. There is no doubt their growing knees need and deserve protection, and the Asterisk Junior Cell Knee Protection System is ready to do the job. With humble beginnings, a few mates got together with the vision to tackle motocross gear online in Australia. Buy the Asterisk Cyto Cell Mens MX Knee Brace Patella Cup - Left in black. Official Spare part for Asterisk Ultra Cell. Job lot of spare parts Evs web, CTI Edge ,Asterisk, pod.